The Greenfield cast iron gas stove is a true revolution in stove design. Combining clean lines, graceful proportions and traditonal cast appeal, the wide view stove can be considered a freestanding fireplace! The number one feature on the Greenfield is the incredibly large 749 square inches of ceramic glass. 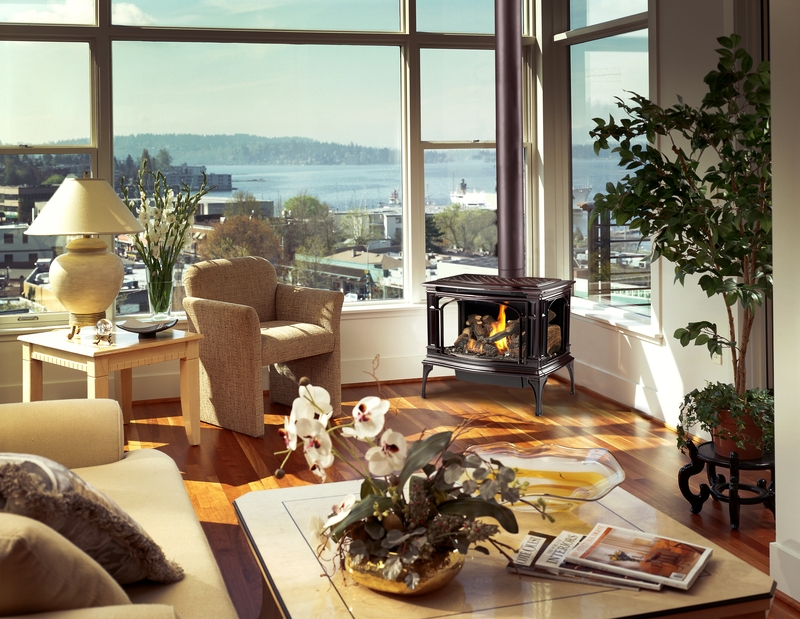 The open three-side design allows you to view the incredibly realistic log set and dancing flames from any angle in the room.